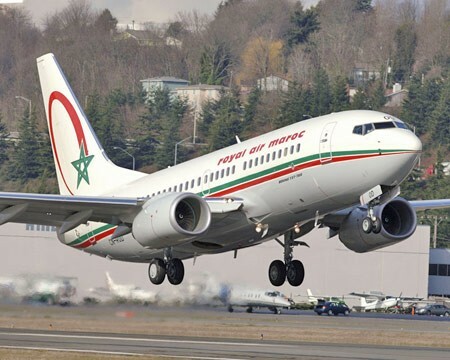 The oneworld global alliance announced Dec. 5 that Royal Air Maroc (RAM) will become its 14th full member airline, likely being inaugurated in mid-2020. RAM’s regional subsidiary, Royal Air Maroc Express, will join as a oneworld affiliate, the alliance said during a press conference in New York. RAM’s membership will add 34 new destinations and 21 countries to the oneworld network, taking the alliance’s total destinations to 1,069 airports and 178 countries and territories. Three oneworld airlines—British Airways (BA), Iberia and Qatar Airways—serve three cities in Morocco: Casablanca, Marrakech and Tangier. BA, Iberia and S7 Airlines already codeshare with RAM. RAM carried 7.3 million passengers in 2017 and operates a fleet of 55 aircraft, including Boeing 737-800s, 787-8s and 767s, and Embraer E190s. RAM Express operates five ATR 72s. RAM has a five-year growth plan that will see it carry 13 million passengers annually. It will become oneworld’s first African member and the first full member to join the 20-year-old alliance in six years. Oneworld, which will mark its 20th anniversary in February, launched with four founding members: American Airlines, BA, Cathay Pacific and Qantas. It grew to 14 full members, but German carrier airberlin ceased operations in October 2017.